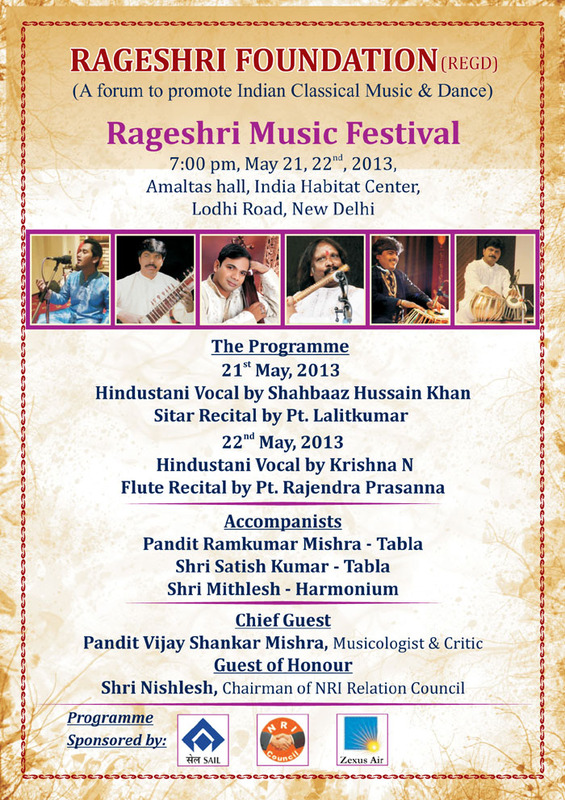 Hindustani Vocal @ World Music Festival, Antaragni 2013, IIT Kanpur. 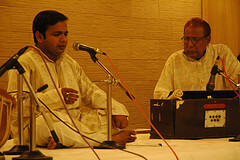 Hindustani Vocal by Krishnna Natarajan at Lok Kala Manch , Near Lodhi Road. 8:00 pm, Sat 26 Feb, Society for Action through music. Devotional Vocal Recital by Krishnna Natarajan : An offering of Meera, Kabir and Sai Bhajans at Chattarpur Sai Mandir, Chattarpur Mandir, New Delhi Dec 2, 2010 6 pm onwards. at BalaVenugopalakrishna Temple, Sarvadharma Marg, Alakananda - New Delhi. Monday, Dec 20th 2010, 6:30 -7:30 pm. an offeriing of Meera and Kabir Bhajans, Carnatic Krithis and Sai Bhajans on the occasion of the 'International Conference of Science and Spirituality' at Satya Sai Center. 31 st July 2010 5-6 pm , Satya Sai Center. Krishnna Natarajan - Hindustani Vocal, Meera Kabir Bhajans and "Soul Violin."